Jonah Lomu has died unexpectedly in the early hours of Wednesday. The All Blacks legend, who had been in the United Kingdom to attend the Rugby World Cup on promotional duties, was 40 years old. He had arrived home in Auckland, after a stay in Dubai, only the day before. Lomu quit rugby in 2002 after 73 Tests for the All Blacks because of Nephrotic syndrome, a rare kidney disease. He has been on dialysis treatment for more than a decade. 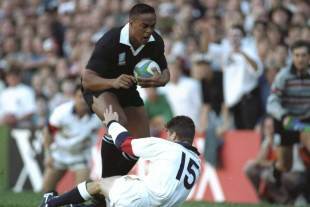 Lomu scored 37 tries in 63 Tests and is regarded as one of New Zealand's greatest wingers. "We're all shocked and deeply saddened at the sudden death of Jonah Lomu," New Zealand Rugby chief executive Steve Tew said in confirming the news. We're lost for words and our heartfelt sympathies go out to Jonah's family. Jonah was a legend of our game and loved by his many fans both here and around the world.". Lomu's wife, Nadene spoke in a brief statement about the family's devastating loss and asked for privacy, particularly for the couple's two children, Brayley and Dhyreille. "It is with great sadness that I must announce my dear husband Jonah Lomu died last night," she said. "As you can imagine, this is a devastating loss for our family and may I ask that our privacy, especially the privacy of our two very young boys, be respected as we take them through this traumatic time." Former All Blacks doctor John Mayhew said Lomu's death was "totally unexpected". "Jonah and his family arrived back from the United Kingdom last night and he suddenly died this morning," he said. Prime Minister John Key, who is at the APEC summit in Manila, said he was "absolutely shocked" at the news of Lomu's passing, and Parliament has expressed its sadness and condolences. 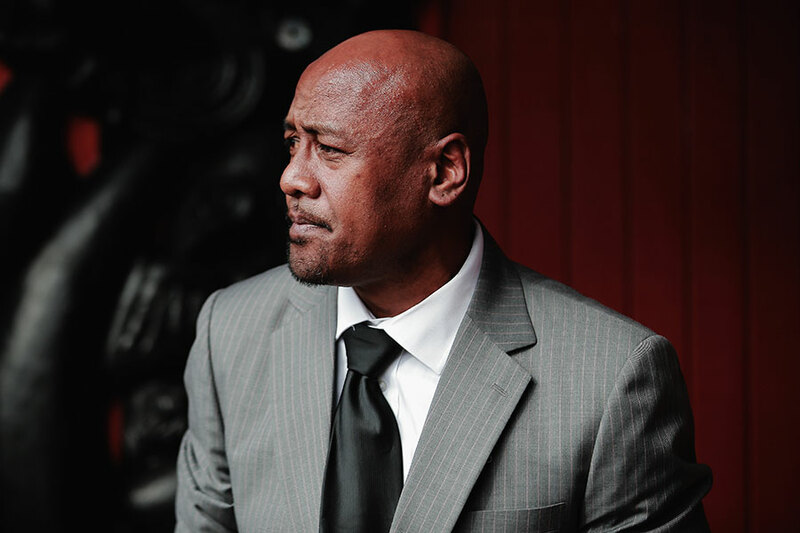 People were seen arriving at Lomu's house to pay their respects. Lomus's spectacular performances at the 1995 Rugby World Cup made him one of the rugby's most recognisable global figures as the sport's first global icon. His tackle-shredding displays included a stunning four-try demolition of England in the quarter-finals, where his trampling of fullback Mike Catt remains an indelible image. Tew said: "Anybody of my generation will remember the World Cup game where he ran over a couple of guys in white shirts. A larger-than-life person, he was certainly a magnet for a lot of attention. He was the first big star of the game, certainly from our neck of the woods." His performances in South Africa are said to have triggered the birth of professional rugby in 1996, with media moguls admiring his speed and power which contrasted with his gentle off-field demeanour. The joint record-holder for the most World Cup tries with South African Bryan Habana with 15, he was recently named the tournament's greatest ever player in an English-run poll. After starring as a schoolboy No.8, Auckland-born Lomu rose to prominence with a powerhouse display at the 1994 Hong Kong Sevens tournament. He then became the youngest-ever All Blacks player in 1994 when he featured on the left wing against France in Christchurch, aged 19 years 45 days. He made a shaky debut but soon established himself as a potent match-winner, with his combination of size and acceleration too much for most defenders to handle. The former Blues, Hurricanes and Chiefs winger underwent a kidney transplant in 2004, and attempted a short-lived comeback a year later. Lomu was inducted into the International Rugby Board Hall of Fame in 2011.